How can one visit the monuments and sites of Rome and not feel overwhelmed? Strolling Through Rome guides visitors, first-time or returning, through the streets, museums, piazze, and parks of the Eternal City. 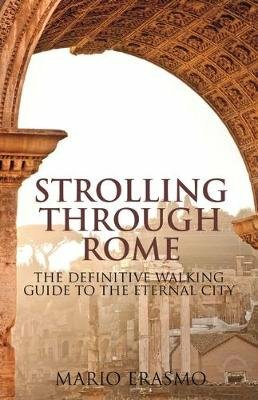 A guidebook that acts as a companion rather than an obtrusive guide, Erasmo's walking tours are literal strolls through history and often retrace the exact steps taken by ancient Romans, early Christians, Medieval Pilgrims, Renaissance Artists and Architects, and Northern Europeans on the Grand Tour. Visitors and readers will be given a cultural history of Rome that contextualizes the history, art, and architecture of various periods of the City within a single book. This informative and lively book incorporates the latest archaeological and architectural research and is essential for anyone intending to explore the extraordinary sights and fascinating secrets of one of Europe's most beguiling cities.